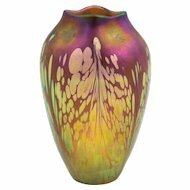 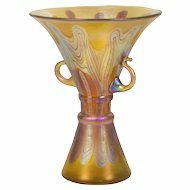 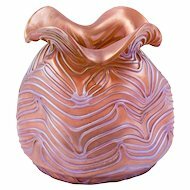 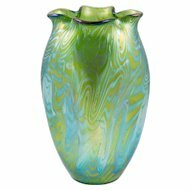 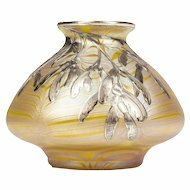 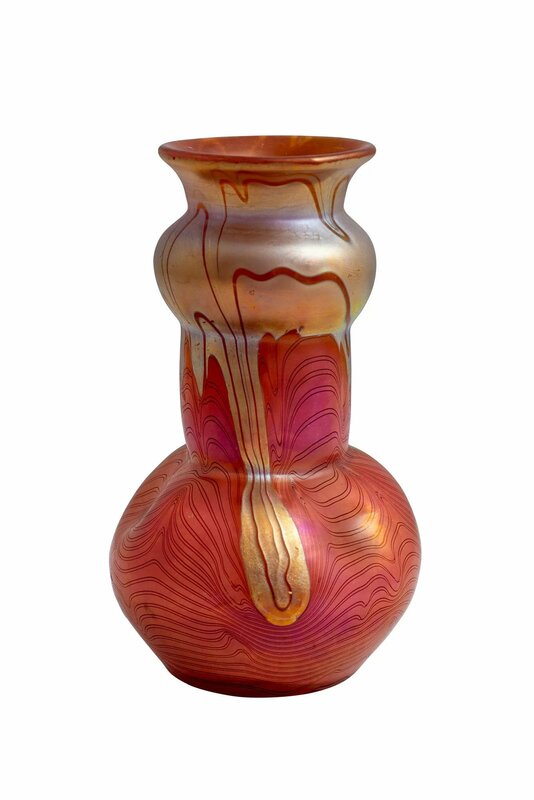 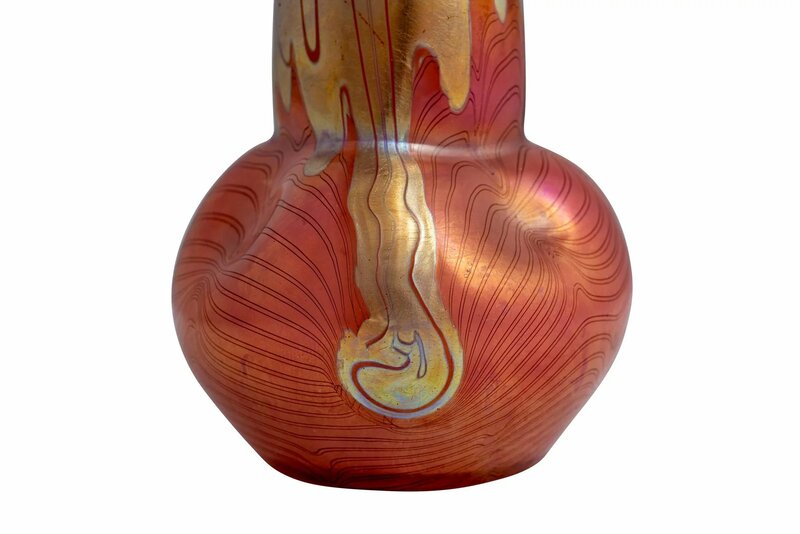 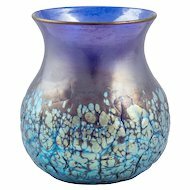 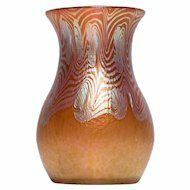 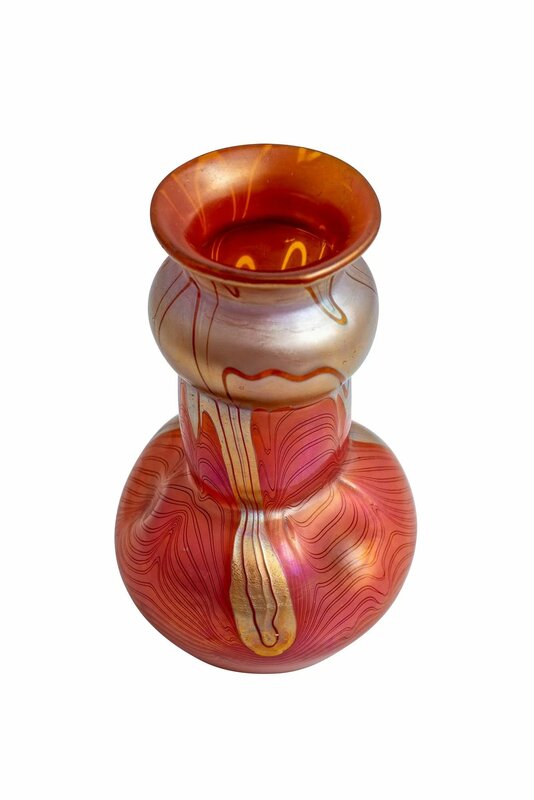 This small vase with an Unknown Phenomen Decor embodies the idea of Art Nouveau glass. 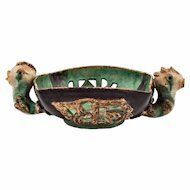 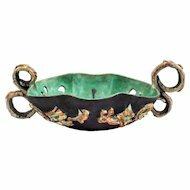 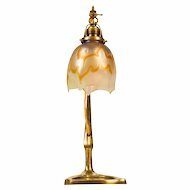 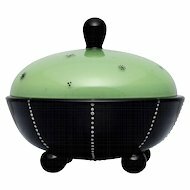 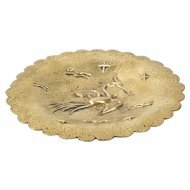 Its shape could be based on the shape of a flower pistil or a calyx, thus taking account of the stylized imitation of floral-vegetable forms in Arts and Crafts around the turn of the century. 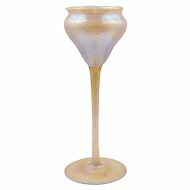 This decoration is an unknown décor variant and with its harmoniously warped brown threads and shimmering ornament it is unmistakably a product of the Bohemian glassworks Loetz. 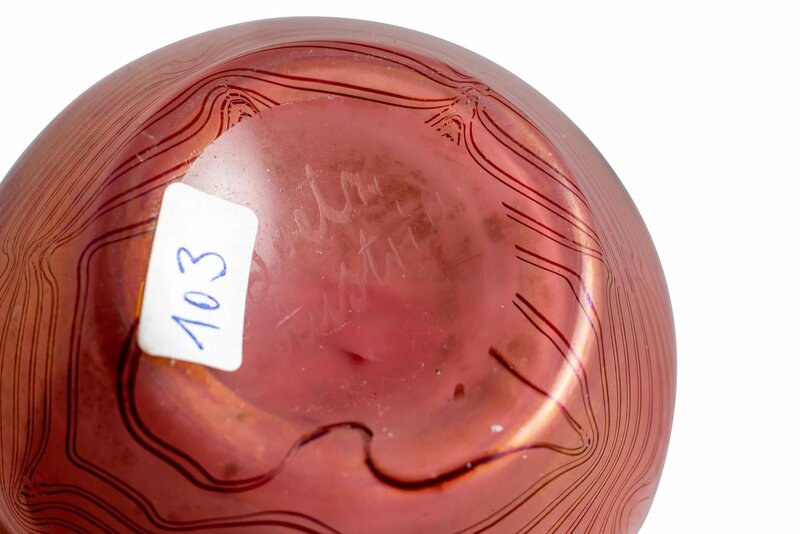 Remarkable are the rare color called "Kaiserrot" (imperial red) and the three even impressions on the wall. 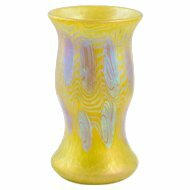 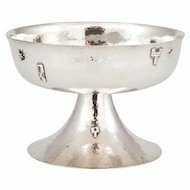 These three hollows lend an additional dynamic to the drawing of the warped threads along with the characteristic iridescence. 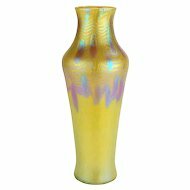 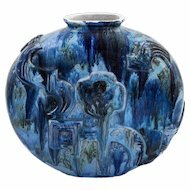 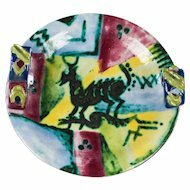 This extraordinary vase combines the artistic and handicraft qualities which Loetz was famous for and, with its matt engraved signature "Loetz Austria", can clearly be dated to the period around 1900-1902.